If you want to pack into eye-catching 4-side sealed sachets between 40×50 mm and 250×200 mm in size, investing in a reliable sachet machine will be a good investment. The Sachet Machine series SA 300 & SA 600 by VikingMašek are continuous motion multi-lane sachet machines. They make eye-catching 4-side seal packets using just one roll of packaging film that can seal your product with high speed and efficiency. 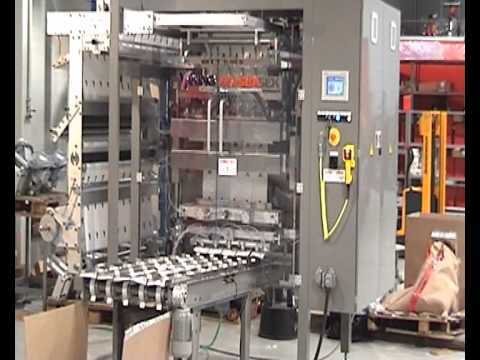 The versatile multi-lane sachet machines can accommodate from 1 to 6 lanes (SA600) or from 1 to 10 lanes (SA600) to form sachet pouches, running as fast as 80 cycles per minute. Designed to pack powders, dense, fine, loose and particulate materials as well as liquids and semi-liquids into 4-side sealed sachets and to accommodate different bag shapes including tear notches and easy-open system. They can be fitted with servo auger fillers & volumetric fillers for powder applications, and two different liquid fillers for sauces or creams.